While much of North America is enduring exceptionally cold winter temperatures, Australia is coping with all-time record summer heat. An unusual, prolonged period of heatwaves has been sweeping over Australia for most of the summer, including the country's hottest December on record. The intense heat has caused numerous deaths, power outages, and severe fires. 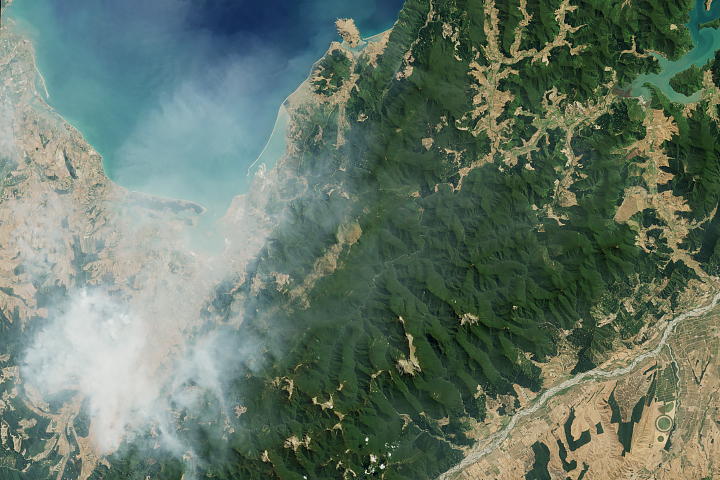 The heatwaves started in late November when Queensland saw record-breaking temperatures on the north tropical and central coasts. The map above shows land surface temperature anomalies from January 14-28, 2019. 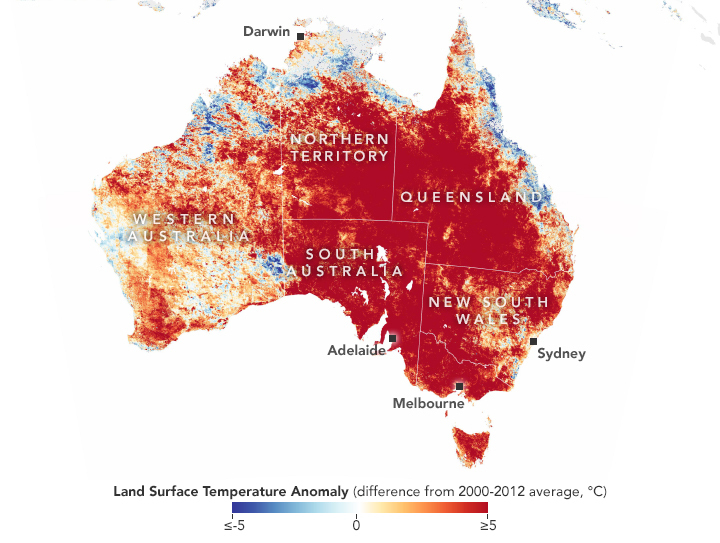 Red colors depict areas that were hotter than average for the same two-week period from 2000-2012; blues were colder than average. White pixels were normal, and gray pixels did not have enough data, most likely due to excessive cloud cover. This temperature anomaly map is based on data from the Moderate Resolution Imaging Spectroradiometer (MODIS) on NASA’s Terra satellite. The summer of 2018-19 has brought seven of the ten hottest days on record for Australia. The most potent heatwave so far occurred from January 11-18, when nationally averaged mean temperatures exceeded 40°C (104°F) for five days in a row. Nationally, January 15th ranked as the second-warmest day ever in Australia, falling 0.02°C short of the all-time record from January 2013. Adelaide recorded the hottest temperature for any Australian state capital in 80 years, reaching 46.4°C (116°F) on January 25. 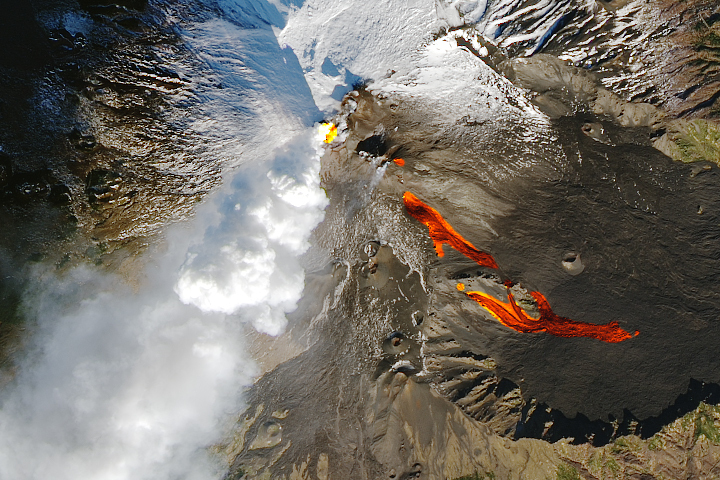 A few factors have contributed to the severe summer, starting with a dearth of strong weather fronts that would typically cool the country. 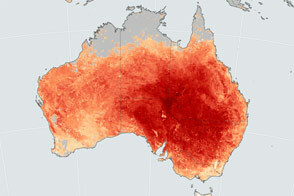 In summer, sunlight heats the Australian landmass more quickly than the surrounding ocean. This difference in heating usually draws in moist air over northern Australia, which gradually brings about westerly winds that bring in cooler and rainy conditions with the monsoon. But this summer the rains didn't develop. 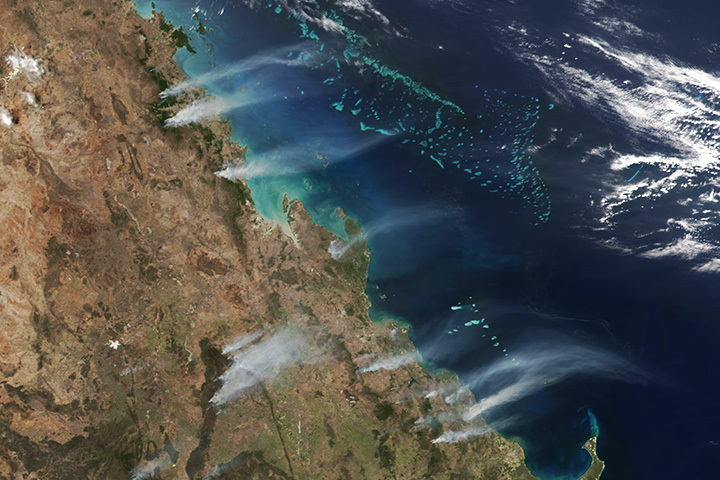 Weather patterns in northern Australia were largely static, providing no significant weather systems to clear out the persistent hot air mass. The city of Darwin usually experiences the beginning of the monsoon in late December, but as of January 22, rainy patterns still had not set in. Western Australia also experienced sparse thunderstorms and no monsoonal activity in December. Northwesterly winds and various weather systems dragged hot air east and south across the Northern Territory, South Australia, western Queensland, New South Wales, and Victoria. 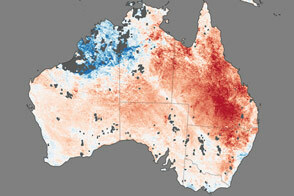 The increased temperatures are a continuation of a longer warming trend for Australia. Twenty of the warmest years on record have occurred in the past 22 years; the last four have been the hottest on record. Throughout 2018, maximum temperatures for each month were above the country’s average. 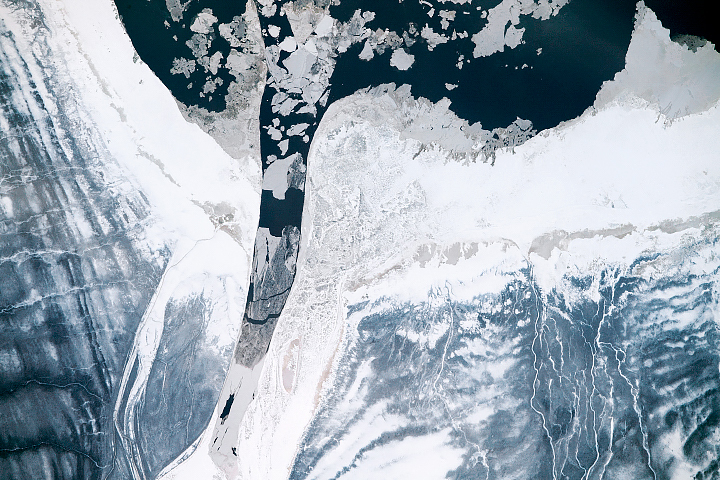 NASA Earth Observatory image by Lauren Dauphin, using data from the Level 1 and Atmospheres Active Distribution System (LAADS) and Land Atmosphere Near real-time Capability for EOS (LANCE). Story by Kasha Patel. A series of heatwaves has been breaking temperature records across the nation. 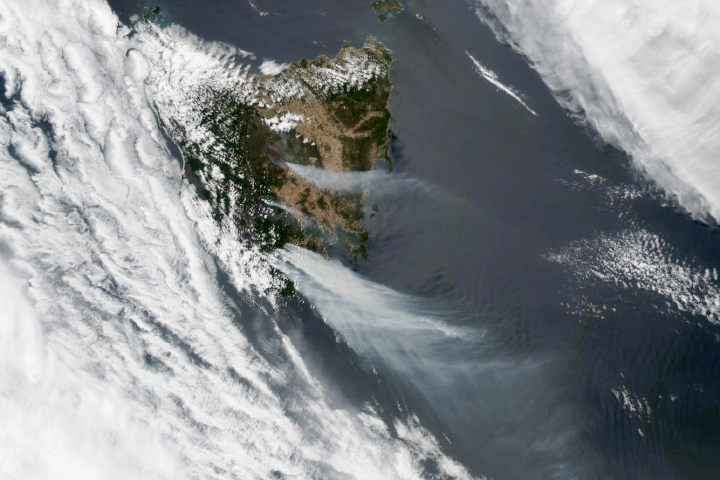 Baked by heat and drought, deluged by rain and floods, scorched by wildfire, and blanketed in dust, Australia and New Zealand faced several months of extreme weather in 2018-19. 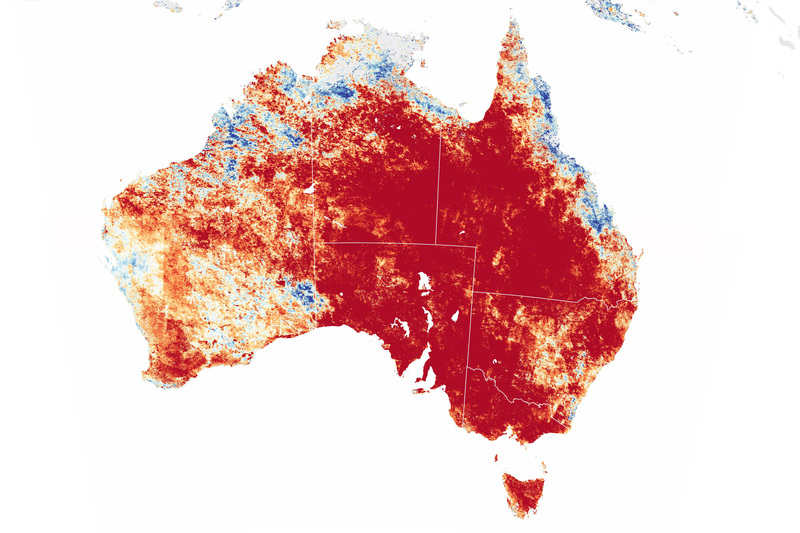 Australian Government Bureau of Meteorology (2019, January 24) Special Climate Statement 68—widespread heatwaves during December 2018 and January 2019. Accessed January 31, 2019. Australian Government Bureau of Meteorology (2018 December) Tracking Australian’s climate through 2018. Accessed January 31, 2019. Australian Government Bureau of Meteorology (2018, November) When is the hottest time of the year? Accessed January 31, 2019. World Meteorological Organization (2018, November 29) WMO climate statement: past 4 years warmest on record. Accessed January 31, 2019. 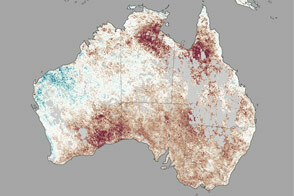 How Widespread was the Australian Heatwave?